The number of caesareans drops by half when women are given an extra hour to push and naturally deliver their babies, a study of first-time mums has found. And an Australian obstetrician says it’s more likely because the mother herself wants to speed up the birthing process. The new research on mums delivering their first child involved randomly selecting some women to have the usual three hour pushing time limit, with others allowed an extra hour to try to have their baby without medical intervention. Overall, 43.2 per cent of the women who were given the typical three hours to push ended up having a C-section, but just 19.5 per cent of the women who were given four hours had one. The study, published in the March issue of the American Journal of Obstetrics and Gynecology, involved 78 mothers delivering at the Thomas Jefferson University Hospital in the US. “The study really showed what we’ve seen in practice for years, which is that there can be benefits to allowing women to labour longer,” says Dr Alexis Gimovsky, one of the study’s authors. Melbourne obstetrician Dr Lionel Steinberg – known as ‘Vaginal Lionel’ for his preference for a low-intervention, vaginal birth and low caesarean rate – tells Babyology it has been his opinion during his 30 year career that giving first-time mums more time in labour in both first and second stage “would significantly reduce the caesarean section rate in first world countries”. “This is assuming that the fetal heart rate during the first and second stage is normal and all the clinical indicators indicate that the baby is well,” he says. Dr Steinberg says the problem obstetricians face is not that they are in a rush to deliver, but that the patient – or their partner – is anxious for the baby’s arrival. “It’s a team effort – obstetrician, midwife, patient and patient’s partner,” Dr Steinberg says. Dr Gimovsky, a fellow in maternal fetal medicine at Thomas Jefferson University, tells The Huffington Post that the three hour time recommendation comes from expert opinion back in the 1800s, with only retrospective data used to validate the guideline. Despite the small sample size, researchers say the study offers a much-needed critique of potentially outdated standards. The researchers also found no evidence that extra time to deliver put the mothers or their babies at greater risk. 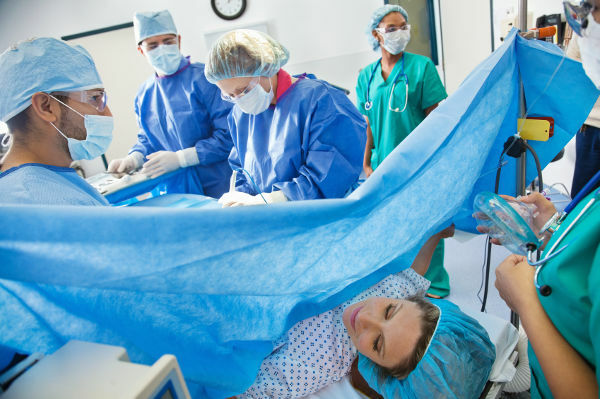 The Australian Institute of Health and Welfare says in 2011, 95,894 Australian women gave birth by caesarean section, which is about one in three deliveries. Caesarean section rates increased over the decade from 28.5 per cent in 2003 to 32.4 per cent in 2012. There are, however, instances where C-sections are absolutely vital for the health of the mother or her baby.